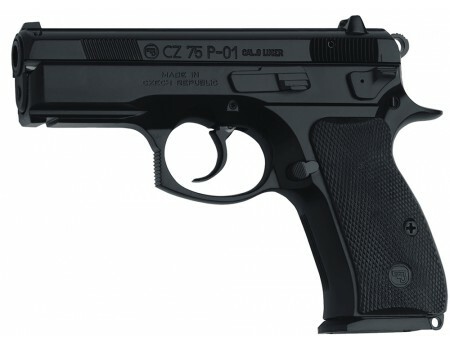 The CZ P-01 underwent 3 years of some of the most aggressive small arms testing ever. The CZ P-01 features aircraft grade aluminum alloy frame, hammer forged barrel, decocker and firing pin block. Also featuring M3 rail, dual slide serrations, rubber grips and a matte poly coat finish.